Programming your servos has never been easier… or so affordable. 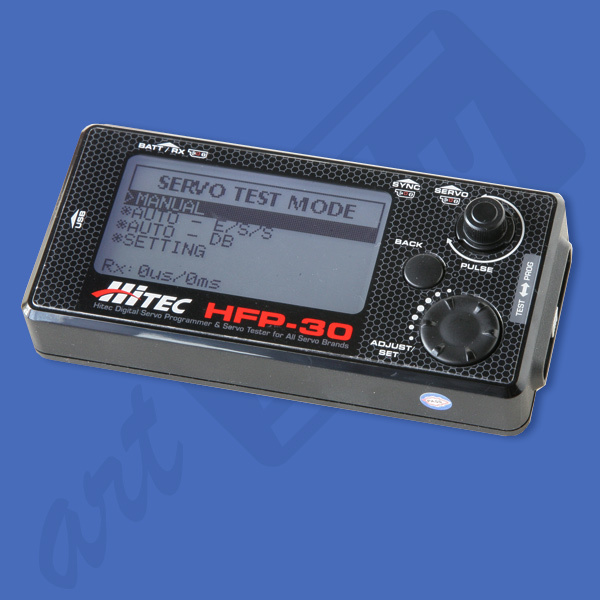 The HFP-30 Digital Servo Field Programmer and Tester. With its lightweight, streamlined case is a must have for all hobbyists looking to program Hitec's HS-5XX and HS-7XXX series of servos. 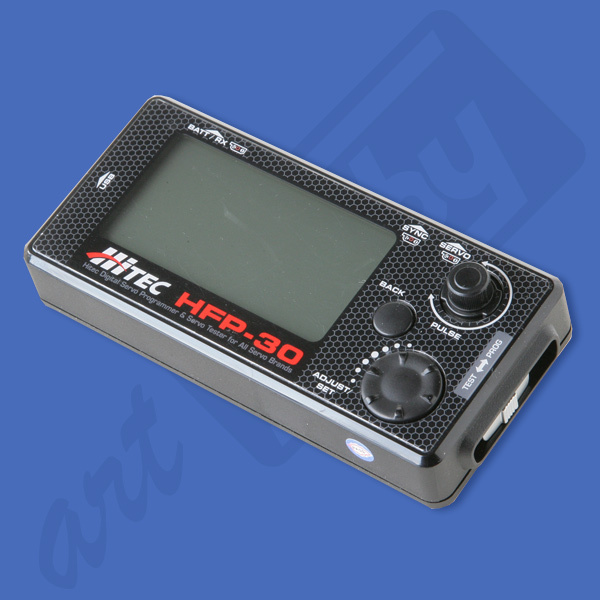 The easyto-read LCD screen and both manual and automatic testing capabilities make this programmer the best ever.